DROP INTO THE HEART BEAT AND be free! say yes to FUN AND FREE FORM MOVEMENT IN A RITUAL SPACE! 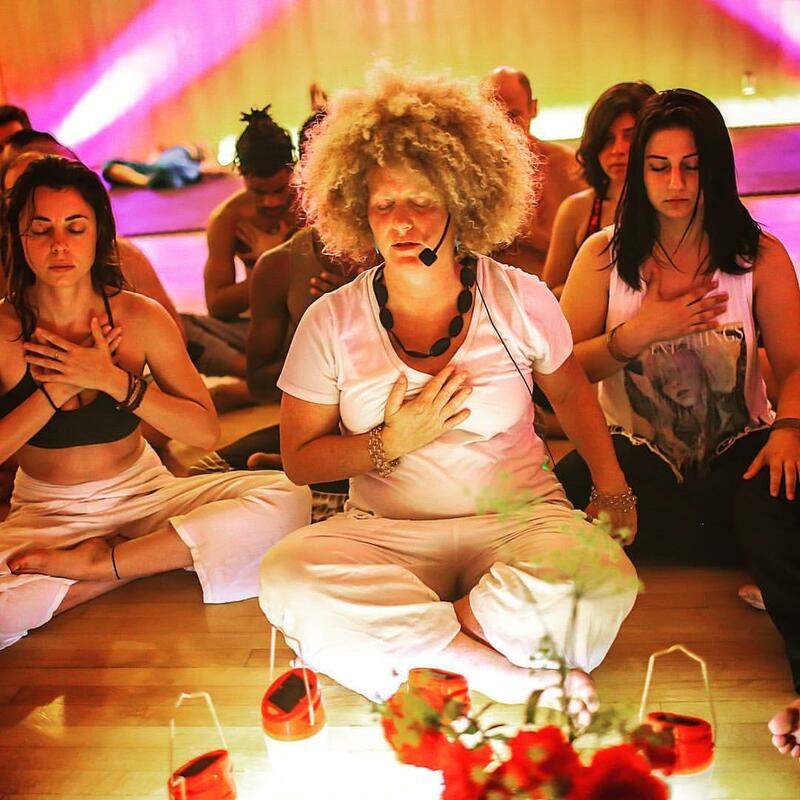 WHETHER YOU LOVE TO DANCE OR LOATH TO DANCE, YOU WILL ENJOY THE UNIVERSAL RHYTHMIC BEAT OF YOGA TRANCE DANCE with world music and live soundscape by gabriel KIBAN. Ariana is an energetic ritual leader who knows how to spark the dance fire! GABRIEL IS a prolific sound healer, known for his powerful crystal singing bowls-like no other! Gabriel Kiban, conducting the sounds of quartz crystal singing bowls, gongs, didgeridoo and percussion tones into the eternal now. For 5 plus years Gabriel has contributed these mother earth tones to a variety of events, groups, classes and collaborations with other sound artists. With the intention of co-creating with the creator to bring natural sounds to help all souls connect to source energy. Blessings to all. Early Bird Yoga Trance Dance!